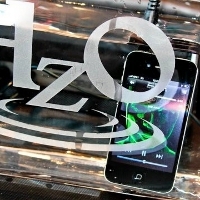 Waterproof iPhone 5, Samsung Galaxy in the Works? Presented at the Consumer Electronics Show in Las Vegas earlier this week, HzO technology seems to have caught the eyes of several companies, including Samsung and Apple. The intuitive nanotechnology makes just about any electronic component watertight by applying a protective film during the assembly of said device. 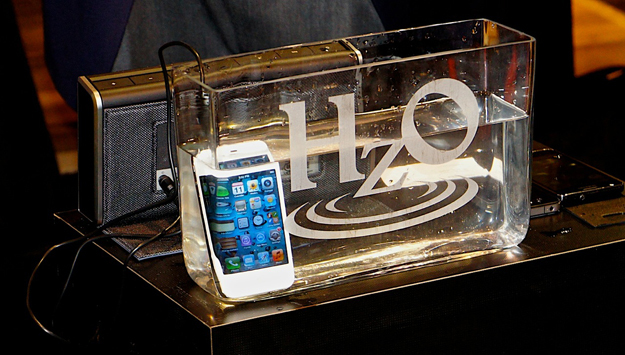 “HzO uses a unique coating processes to shield almost anything from water and corrosion damage,” the company explained during the convention. The unique coating is applied to the components when assembling the electronic device. A functional iPhone 4S and Samsung Galaxy were dunked in a tank of water to demonstrate the reliability of his technique… both made it out fine.